REGISTRATION IS OPEN for Modified Safety Village. This camp is offered thanks to the work of ICFD Firefighter Matt Farrey . “The Modified Safety Village is for the children ages 6-12 that would not be successful in the 2-week-long Safety Village. The Modified Safety Village has smaller groups for accommodating special needs. We will have a 3 camper to 1 staff ratio but if your child is in need of additional support we ask that you provide the appropriate level of support (SCL, respite worker, family member, etc.). Cost is $25 per child. The Modified Safety Village is for the children ages 6-12 that would not be successful in the 2-week-long Safety Village. The Modified Safety Village has smaller groups for accommodating special needs. We will have a 3 camper to 1 staff ratio but if your child is in need of additional support we ask that you provide the appropriate level of support (SCL, respite worker, family member, etc.). Safety Village is located on the property of Grant Wood Elementary School, 1930 Lakeside Drive, Iowa City. Note: Since this is not a museum event, membership discounts do not apply. The pool will be reserved for our group and closed to the general public. 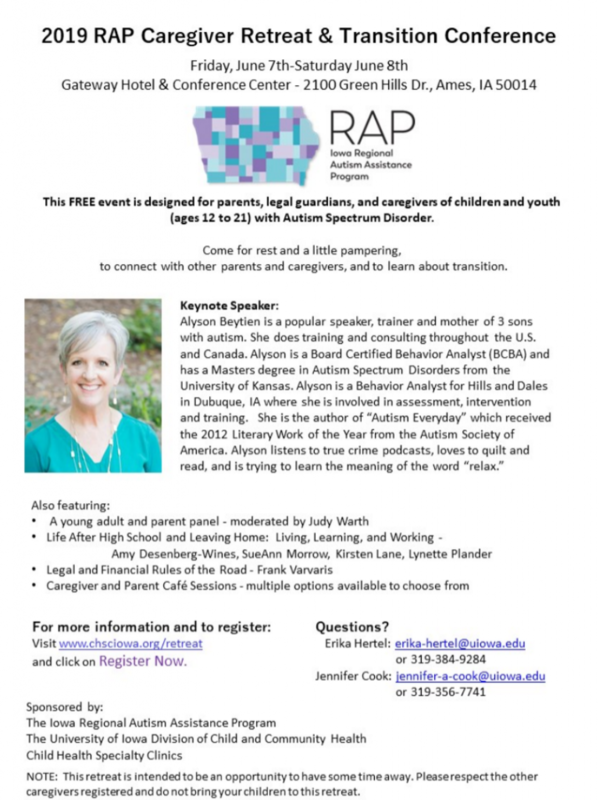 This event is sponsored by the Iowa City Autism Community and offered at a discount. Family locker rooms are available for those who need it. If you do not need family locker rooms (i.e. caregiver and all people needing assistance are of the same gender), please use regular locker rooms, as the family locker rooms get congested. 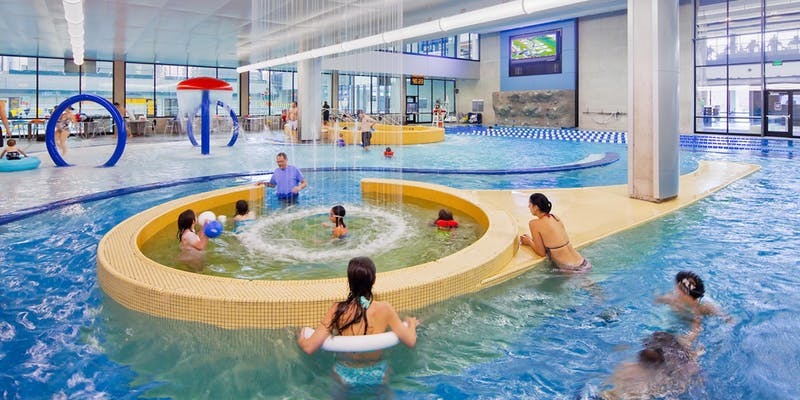 Tickets ($3.00 per participant) are required for those aged 3y and older who plan to enter the pool. PLEASE let me know if you can no longer make it so I can make your spots available to another family. Email iowadina@yahoo.com with any questions.